How to Get Netflix Working with Ubuntu 12.04/12.10 in Two Easy Steps! Yes you read it just right. Netflix now works with Ubuntu. And no, there's no official Netflix support for Linux yet. Thanks to hard work done by Erich Hoover and guys at iheartubuntu, Netflix has been made to work under Ubuntu using Wine and there is now a PPA to install the whole hack in just two easy steps. At the moment though, it seems like Netflix works with Ubuntu 12.04 and Ubuntu 12.10 desktops only. Read on. 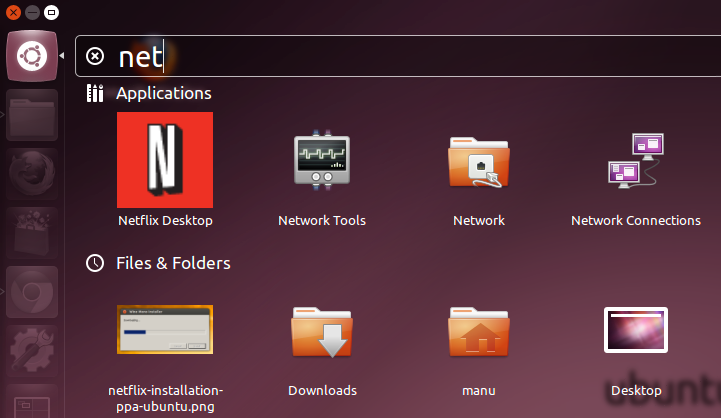 How to Install Netflix Desktop in Ubuntu 12.04/12.10? Netflix is a hugely popular video streaming website for movies, sitcoms, documentaries and the likes. Netflix is currently available in United States, Canada, Latin America, the Caribbean, United Kingdom, Ireland, Sweden, Denmark, Norway and Finland. Netflix is officially available for Windows and Mac platforms only. To install Netflix desktop app in Ubuntu, you need to add ehoover/compholio PPA first and later install netflix-desktop package. For all that, simply copy-paste the following commands into Terminal. Now, simply launch Netflix desktop app from Unity dash and follow the instructions. And you're done. After the process is complete, Netflix desktop app for Ubuntu will launch in full screen mode. You can exit out of the app completely by pressing ALT+F4. You can also press F11 to exit out of full screen mode. And that's the sad part. 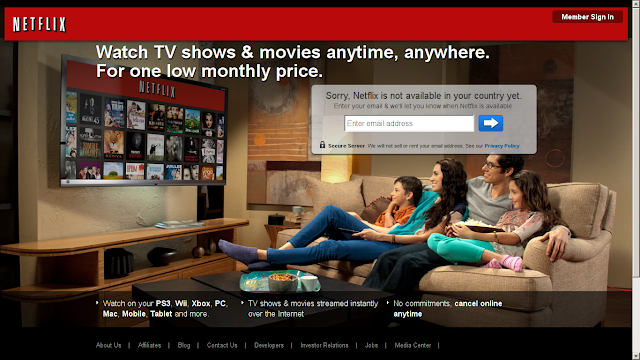 Netflix is not available in this part of the world yet. So, I can't really test if it works or not. I used to make it work in Windows machines using proxies. 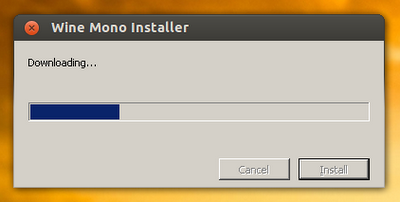 But I have no idea how to do the same in this Netflix app for Ubuntu. Tip: If somehow the setting up of Netflix app for Ubuntu fails, try removing whatever Netflix Desktop profile has created using the command: rm -Rf ~/.netflix-desktop. Afterwards, launch the Netflix app again from Unity dash. That solved it for me at least.